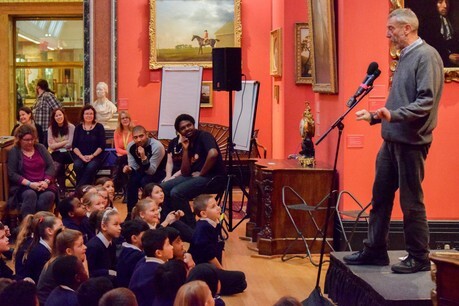 As part of a collaboration with HistoryWorks and the Cambridge Fitzwilliam museum, Inja worked with Michael Rosen to inspire and entertain hundreds of local Primary School children with poetry and words. 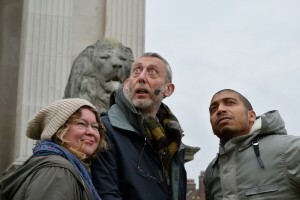 Michael Rosen composed a new poem called “The Listening Lions”, commissioned by Historyworks to tell the story about the stone lions which recline above the steps of The Fitzwilliam Museum. 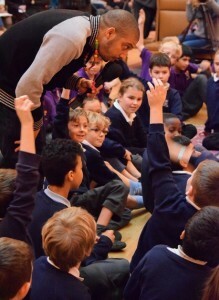 After being thoroughly warmed up by Rosen, Inja led the children in a workshop activity. 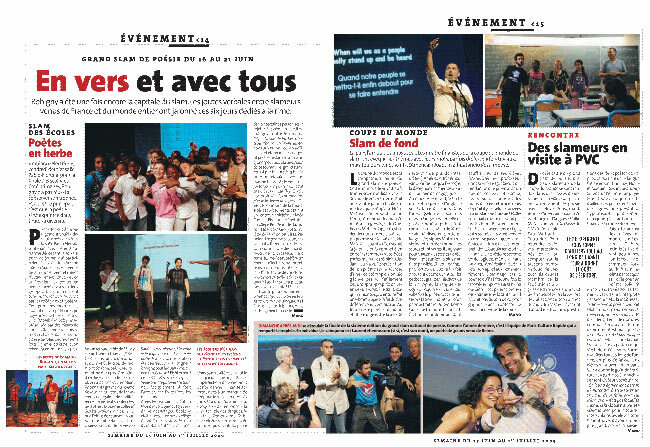 “This time they were to think about the lions and shout out the words that they had thought of. Tizzy and Helen were the appointed scribes towrite these words on big flip charts. Inja used his creative vocal and lyrical dexterity to freestyle a rap based on the children’s suggestions which amazed many of the primary participants!